On-street parking is being traded for curbside drop-off/pick-up zones in five places in Washington, D.C., as part of an expanding program. The curb management program began at one spot on Connecticut Ave., near busy Dupont Circle. After a comment period, the District Department of Transportation (DDOT) announced five more of the zones, which will operate 24/7 in other busy corridors. 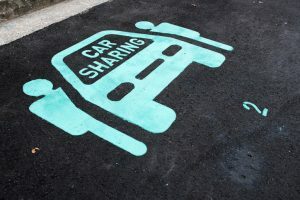 The zones, which will take away some on-street parking spaces, will both help carpoolers and ride-share users and increase pedestrian safety, officials said, and the program follows a model that has worked well during large-scale special events, such as papal visits. The zones are also opened to commercial vehicles making deliveries.